Purple is set to be a huge trend this A/W and was seen absolutely everywhere on the catwalk, from Christopher Kane’s zany leopard print interpretation to Gucci’s vampy romance take on the trend. They even got the models to strut their stuff on a lavender catwalk – suffice to say, it’s gonna be huge! And we’re delighted by that - we can’t get enough of this rich shade, it just screams luxurious and regal, yet even the most budget conscious wardrobes can get a bit of purple in their lives for a small sum. 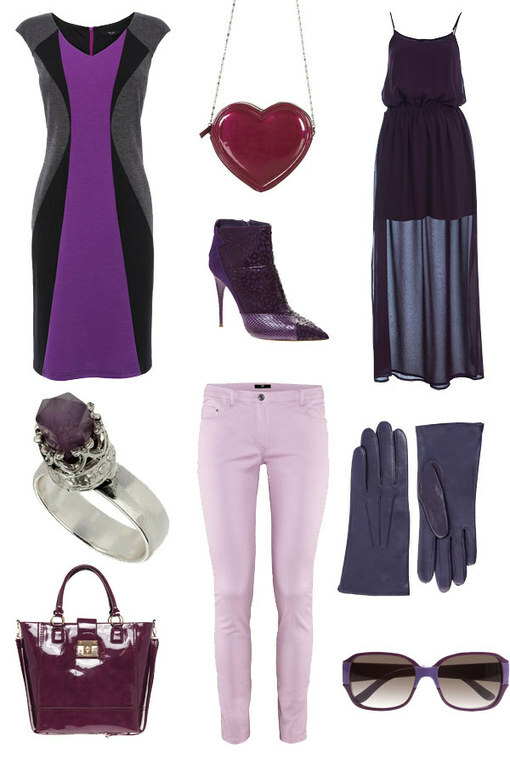 With that in mind, we’ve collected our fave affordable purple pieces from the high street to inspire your purple haze winter look.